As we near the end of September here in southern New England, most of the leaves are still green, however, a faint blush has bloomed, spreading more and more with each passing day. 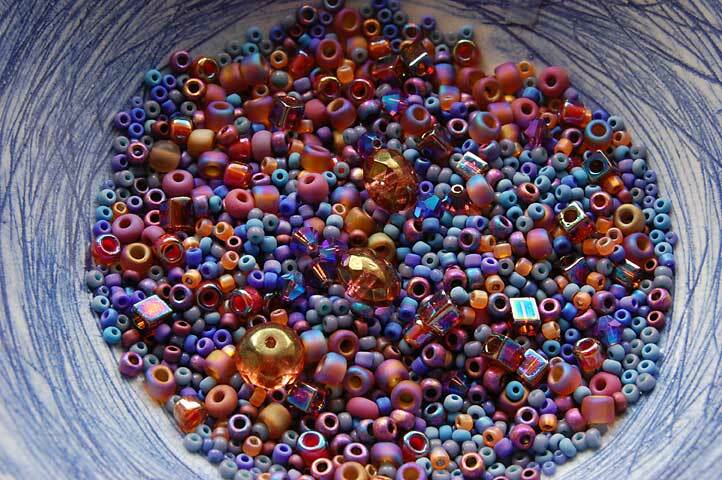 One of my newest bead soup mixes, aptly called Fall Foliage, is inspired by October’s glorious colors, just beginning to manifest. The flaming colors of Sunset. I recently received a lovely note from one of my readers, interested in creating her own free-form bracelets. Daunted by the prospect of purchasing all of the beads needed to create a bead soup such as the ones in my photos, she asked for my advice. 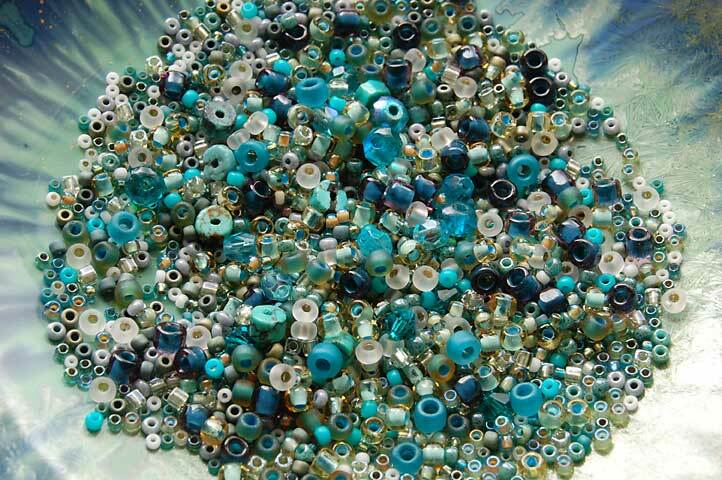 One of my favorite parts of creating a free-form piece is going through my extensive bead stash and choosing a pleasing palette of various size beads. I offered to create some bead soup mixes for her and I’m happy to report that she was delighted with my offer. The many colors of the Sea. 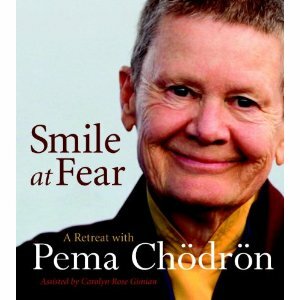 I started to give this more thought. 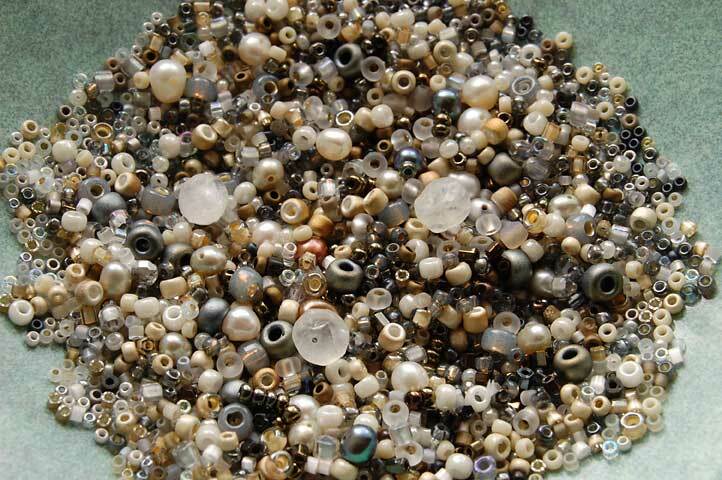 Based on how many different kinds of beads, along with crystals, pearls and stone beads that I use for my free-form pieces, one would need to spend between $100-$150 on beads to create the depth and variety of beads in these mixes. Wow. I never really thought about that before. A walk in Winter Woods under a full moon. So, here’s my idea. As I love, love, love color and beads, how about if I combine those 2 loves to create unique bead mixes for sale? What do you think? This entry was posted in Beads, Color, Creativity, freeform peyote, Inspiration, My Studio, Stones and tagged bead mixes, bead soups, seed bead mixes. I think selling bead soups are a great idea. I love making bead soups, but I have a hard time trying to think of what’s next? A free-form Peyote bracelet, multi strand necklace or an anklet? The possibilities are endless. My gosh, Karen.. those soups are to die for… just breath taking. I think it’s a great idea so sell the soup. You definitely have a passion for it and it shows. I say, share your passion, girlfriend. I don’t know anyone else out there that would do that; I think you’re on to something. Thanks ladies for your awesome feedback!! Jenn, I’ll e-mail you privately regarding your request, thanks. I think that it is a great idea! 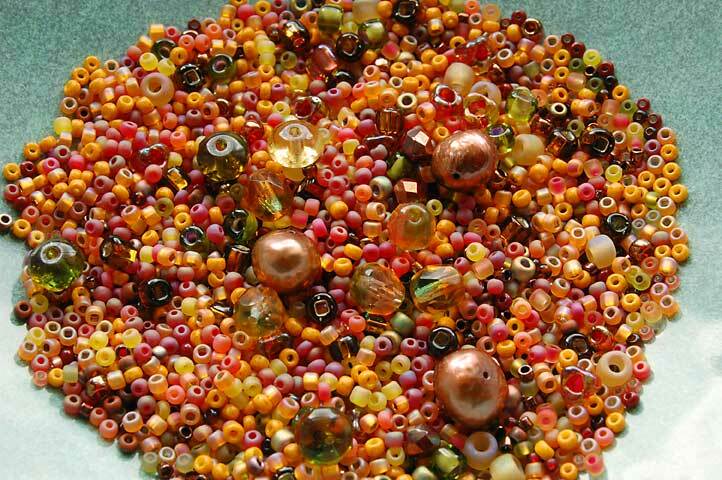 Years ago, Laura Liska had some bead mixes at some bead store in Tacoma. I drooled and promptly bought several. Rings n Things also has some nice mixes, but not nearly as nice as yours! Thanks for your kind words, Cathy! are these ‘mixes’ available to purchase? I especially like the Blue Sea mix. I think it’s a wonderful idea after seeing your mix of colors! Great idea. Would be great for making micro macramé jewelry. Do it!